I have a terrible confession to make. For several years now I have considered Singapore’s Changi Airport to be my preferred stop on long haul flights between Europe and Australia, but do you know what? It was only a few days ago that I arrived in Singapore and actually entered the country. Isn’t that ridiculous? I know the airport so well yet visiting Singapore has never been my priority on any of the journeys made. Well, all I can say is more fool me. Singapore is amazing; here’s why. Since becoming a republic in 1965, Singapore must be one of the best examples of harmonious multiculturalism. Chinese Singaporeans, Malays, Indians, Eurasians and Peranakans live side by side and each contributes to Singapore’s status as a cultural melting pot. 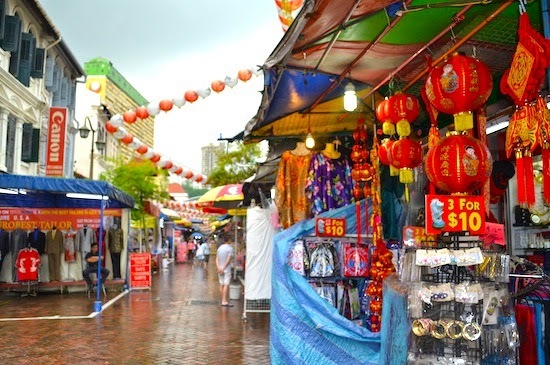 The city has different quarters such as Kampong Glam, Little India and Chinatown that feel like different worlds, all within short distances from each other. I love the variety of experiences and food that are available so easily. The city is bustling, with sights, food, entertainment and shops available almost 24 hours a day. Do you know what a Merlion is? Have you visited a Buddhist temple? Better get going! Are you hungry? Whatever cuisine you crave you will be able to find. If you’re looking for things to do there is a vast selection of performing arts with Chinese opera, Indian classical music, Peranakan theatre and English-language theatre on offer. International shows come to Singapore, musicals are popular, and there are also open-air performances of ‘ballet under the stars’. Singapore also boasts many pubs, bars and music venues. If shopping is your game, expect to be kept busy in Singapore. I suspect it would take even a devoted shopper weeks to visit all of the malls. While packed with people (over 4 million people live on the island) the city is spotless. Singapore has a reputation as being heavy-handed when it comes to rules, but anything that deters littering is fine by me! For a densely populated city like Singapore to be virtually litter-free is both incredible and wonderful. However, There is also clearly an impressive culture of respect. Navigating the city, I noticed the polite signs on the MRT (underground transport system) requesting passengers allow others to disembark before entering the train, accompanied by helpful lines painted on the floor, and you know what? The majority of people abide by the requests. I was further impressed each time I used the MRT by the way people willingly give up their seats for those with a greater need of them, something that is, sadly, virtually unheard of on the London Underground. Singapore hit all the right notes with me. I only wish I had experienced this amazing place sooner. Have you visited Singapore? What were your highlights?